Arrived in Copenhagen today, for Reboot. 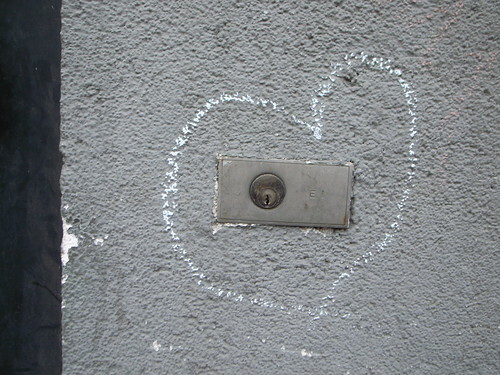 Picture taken this afternoon, technology of access marked by a heart drawn by a passer-by. Love+access, there was surely some good motivations because there are no precise affordance to draw this shape around this key hole..